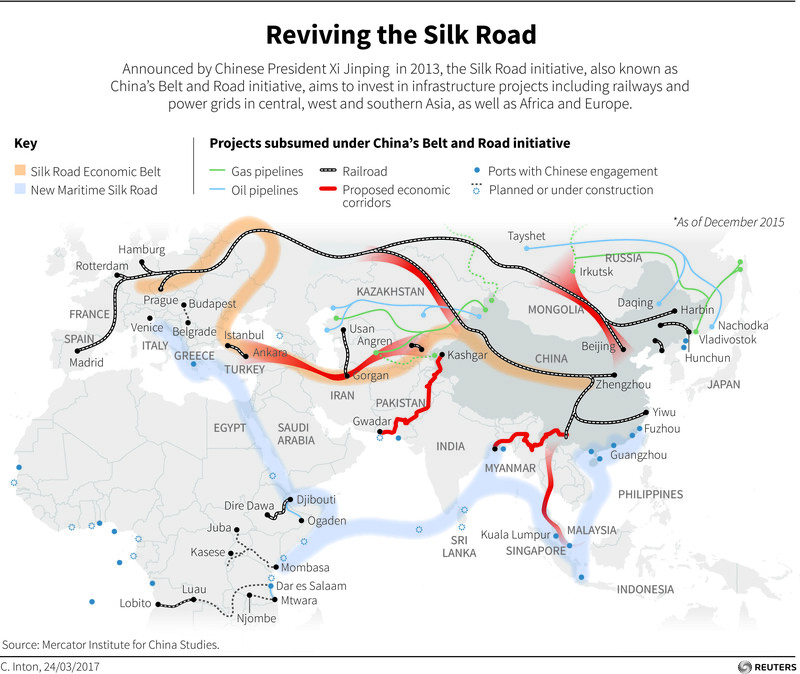 With the disappearance of old, ideological battle lines and the establishment of new trade links, a new geographic entity has started to emerge: Eurasia, the supercontinent extending from Lisbon to Shanghai or even Jakarta. One could argue that this is a return to an older time, but the dawn of a new age would be a more exact description. Romantic images of the Silk Road or Marco Polo’s adventures cannot hide the fact that trade along those routes was insignificant and almost no one made the whole journey from sea to sea. As for Genghis Khan’s empire, practically limitless as it was to become, it still obeyed the iron laws of empire and was organized around a power centre. A genuine meeting between east and west is a creation of our own time. One immediate consequence of the new political geography is how Russia will define its position in the world. Traditionally, Russian elites see their task as that of bringing about a gradual but complete integration with a more advanced Europe. That vision is now being replaced with a new self-image as the centre and core of the Eurasian supercontinent. In this position, Russia can reach in all directions and provide a bridge between Europe and China on both ends. Asia, long associated with historical backwardness in Russian minds, is emerging as a pole of attraction. This takes us to the second and deeper meaning of Eurasia, as a historical age rather than a geographic unit. A lot has been written about a new Asian century and with four out of the five largest economies in the world soon to be located on the continent, the idea has some appeal. What it forgets is that Europe and the US will keep their power and wealth largely intact and that, in some crucial dimensions, Asian economies and societies still lag significantly behind. What the new century promises is not the emergence of a new centre but a world balanced between Western and Asian poles. Contrary to the Cold War, these two poles will be deeply integrated. Eurasia is a word perfectly suited to capture the main elements of this world, the first of which is contradiction. The new Eurasian century is not one where different regions of the world converge towards a single model. If the end of the Cold War allowed many in the West to entertain those dreams, they are conclusively over. All public and private statements coming from China speak of a country confident in its ability to master modern technology and build a modern society without in any way adopting a Western economic and political model. For the first time in many centuries, we are forced to live with cultural contradiction without immediately explaining it away as a result of societies existing at different stages of historical development. The second element is that of integration. For all their differences, the main political and economic blocs are increasingly integrated. Modern society by its very nature pushes towards larger spheres of action and technology breaks old barriers of geographic distance. By combining contradiction and integration, we are entering the second age of globalization, where borders tend to dissolve but cultural and civilizational differences do not. I call it the Eurasian age. Because Europe has taken the Western political model to its logical conclusion while China remains unique in its closure and resistance to Western influence, it is tempting to think of these two regions as setting the outer limits for Eurasian politics. Between them, major powers such as Russia and India will try to find different positions within the broad spectrum of alternatives. Finally, across the oceans, benefitting from a more distant perspective, the US may be expected to pick and choose from different models as it strives to preserve its leadership position, even if the world it wants to lead is now a Eurasian rather than Western one.